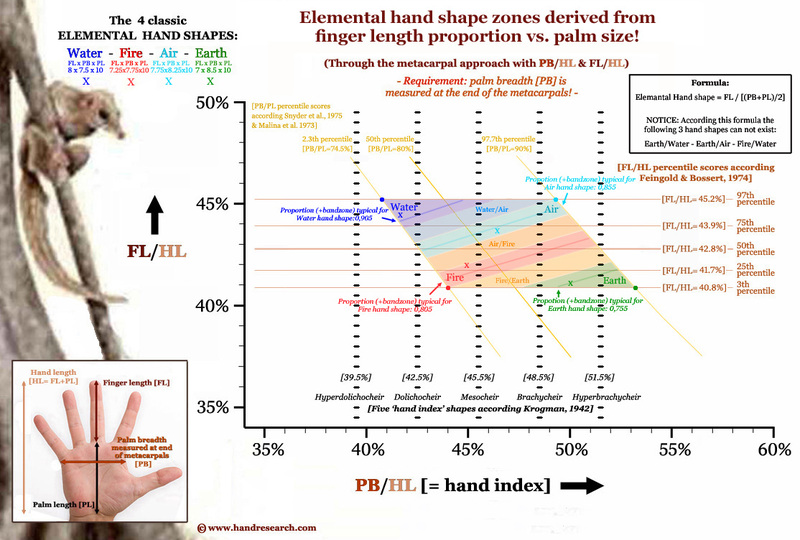 Elemental hand shape assessment 2.0: finger length vs. palm size! Elemental hand shape assessment can be understood to represent the opportunity for identifying hand shape sub-variants on top of the so-called 'hand index' - which represents a measure for overal hand shape (see picture above). 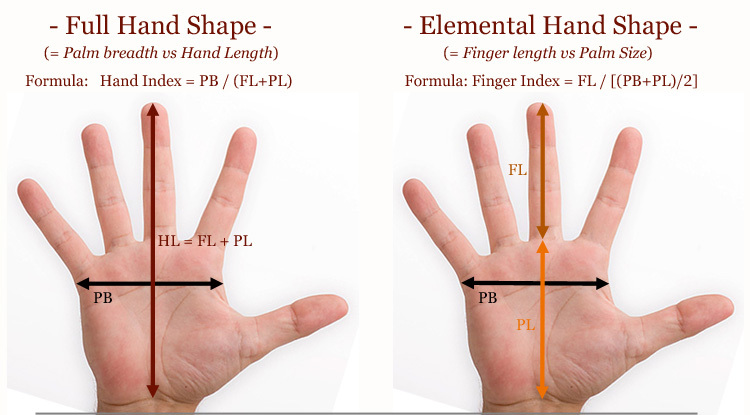 The unique feature involved with elemental hand shape assessment is basically all about the factor involving 'finger length' factor.